The Battle of the Crater was a battle of the Civil War, part of the Siege of Petersburg and the Richmond-Petersburg Campaign, fought between June 1864 and march 1865. Petersburg was an important goal for both armies: four railroad lines met there before continuing on to Richmond, and most of the Confederate Army's supplies funneled through there. Battery 5 of the Dimmock Line, part of the Confederate defenses surrounding Richmond. The Battle of the Crater took place on July 30, 1864, between the Confederate Army of Northern Virginia, commanded by General Robert E Lee and the Union Army of the Potomac, commanded by Maj. Gen. George G Meade (under the direct supervision of the general-in-chief, Lt. Gen. Ulysses S. Grant). 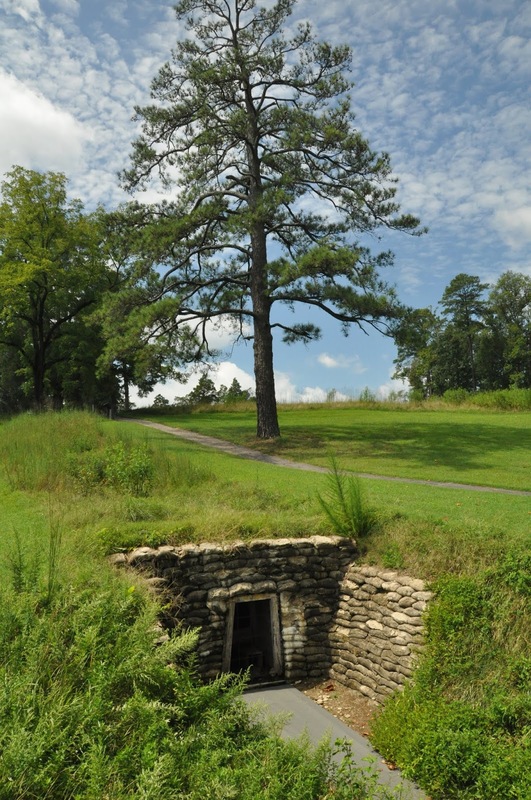 After weeks of preparation, on July 30, Union forces exploded a mine, blowing a gap in the Confederate defenses of Petersburg. From that success, the Union pulled a mess of a defeat. Lacking a coordinated plan of what to do AFTER the explosion, unit after unit charged into, rather than around the crater. Inside the crater bowl, the Union troops were mired in mud, blood and muck, easy targets for Confederate soldiers shooting at them from above the sides of the crater. At the top of the path on the right was the Confederate lines. The Confederates recovered pretty quickly from the shock of the explosion, and launched several counterattacks. The breach was sealed and Union forces repulsed, inflicting severe casualties. 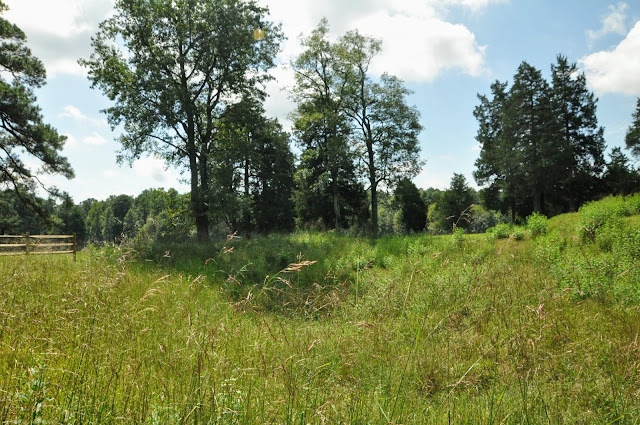 The crater today -- it's hard to imagine how horrific it would have been on July 30, 1863, at around 5 a.m.
During this battle, both sides engaged in horrific war crimes. 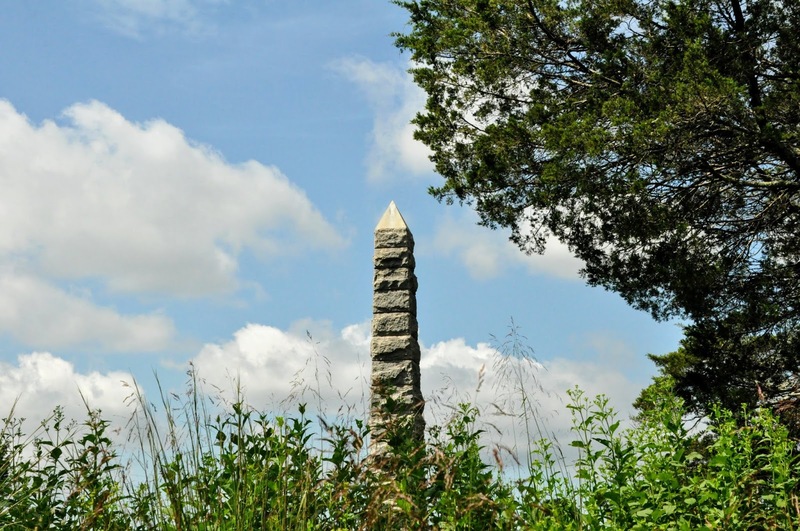 In the later stages of the battle, many of the Union casualties were black soldiers killed by Confederate bayonets and musket fire, even after they'd surrendered. (Confederate soldiers had received similar treatment from Union troops immediately after the mine explosion.) But even more horrifically, white Union troops turned on their black compatriots, bayoneting them mercilessly, because of their own fears of reprisal at the hands of the victorious Confederate troops. Grant labeled the assault "the saddest affair I have witnessed in this war." It certainly is a low point in military ineptitude and horrific treatment of other Americans. And it was a disaster for the Union forces. 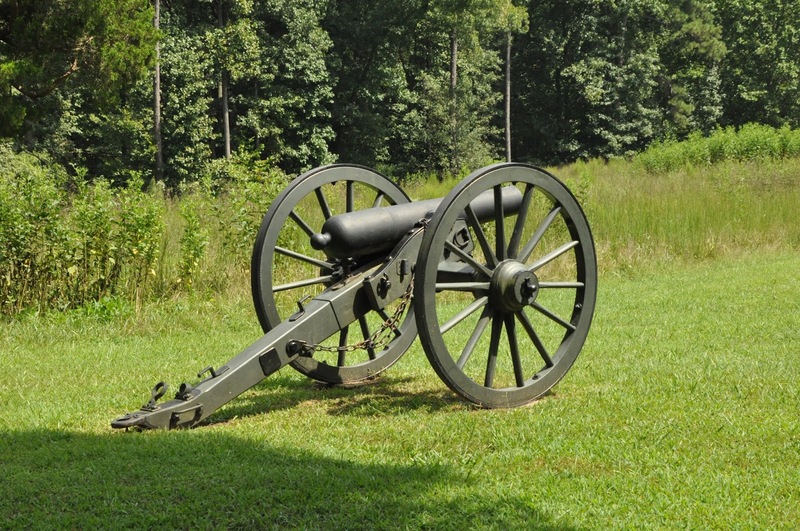 A cannon along the Confederate line. Although the battle technically was a tactical Confederate victory, nothing changed. Both sides remained entrenched, in pretty much the same location as they were before. Although that mine explosion was Grant's best chance to end the Siege of Petersburg, this battle merely was a huge blip on what turned out to be another eight-month-long siege in the muddy and cold trenches. As you explore this battlefield, you'll want to do so both by vehicle and on foot. 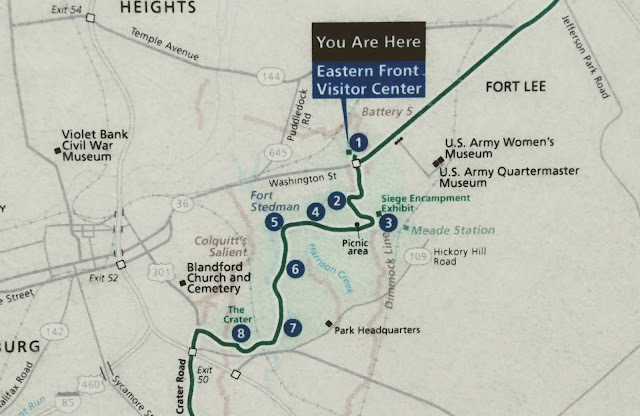 The northern/eastern battlefield tour starts at the park's visitor center, where you'll want to walk out to Battery 5 of the Dimmock Line, part of the 10-mile line of Confederate defenses around Richmond, and then down to see the famous Union mortar, "the Dictator." Then head out on the driving tour, stopping to do the short walks and hikes. 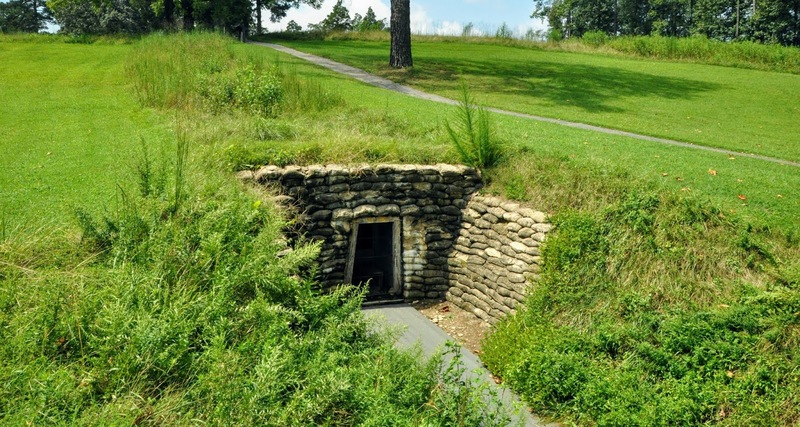 The eastern battlefield driving tour culminates at the crater itself, where again, you'll want to get out of your vehicle to explore the mine entrance, look up the hill at the Confederate lines, back behind you across the valley at the Union entrenchments, and then walk up the hill to the crater. You'll appreciate the distance the Union army miners had to dig to reach the Confederate lines. You'll wonder that the Confederates didn't realize the plan sooner. the landscape is lovely, belying the violence that occurred here those years ago. Now the landscape is grass covered, making it harder to imagine the chaos and mud that was the newly exploded crater -- it doesn't even look that deep. The day we were there, we were the only ones there. It was quiet, birds sang in the trees. We saw butterflies flitting from wildflower to wildflower. We walked along the pathway, listening to the recordings on the informational signs, before continuing on to visit the western battlefield driving tour. Next week, we'll talk about what happened to the men and boys who died on the battlefield, and visit the hallowed ground where these Americans are now buried.